Some slogans just stick in our minds. Especially the short, snappy one-liners. Apple has always told us to “Think different.” Google urges us to “Don’t be Evil.” Of course Nike famously tells us to “Just do it.” These slogans aren’t just catchy. They also work well, at least in part, because by inviting a comparison between the advertised brand and its rivals, the slogans help make our choices seem simple, even in a crowded marketplace. But that approach doesn’t always work — certainly not in helping a customer choose between two different iPads or from all the options on a fast-food menu. “The current research is the first to introduce the notion that decision difficulty is not a fixed property of the choice set but is influenced by the decision-maker’s mindset or representation level. 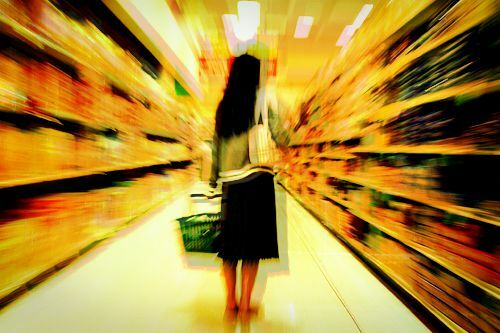 Besides furthering our understanding about consumer choice and choice difficulty, our work extends prior research on comparable and non-comparable choices and provides a framework to explain when we might get a reversal in the perception of difficulty level of these two types of choices”. We all know that apples-to-apples comparisons are usually easier than comparing two very different choices. That’s why most of us would find it harder to decide between, say, a spiffy new car and a family trip to Europe than between two cars or between two competing computer tablets: Apples-to-oranges choices are harder because we can’t just line up corresponding features (engine, fuel efficiency, and so on) to compare like with like. It turns out, though, that the ease of making a choice isn’t inherent in the choices themselves, according to the new research, but has much to do with the state of mind of the chooser. This finding overturns the notion, widely accepted by choice researchers and ordinary people alike, that some choices are intrinsically easier than others. And, if properly understood, the study results can help marketers make it easier for buyers to reach a buying decision. Khan and her fellow researchers, Eunice Kim Cho of Pennsylvania State University and Ravi Dhar of Yale University, didn’t set out merely to ease decision making: They wanted to see if they could reverse a choice’s difficulty. Specifically, could they manage to make an apples-to-oranges choice easier than an apples-to-apples choice? To test this idea, they asked some participants to choose between two different chess sets, and they asked others to choose between a chess set and a cheese platter. Choosing between a chess set and a cheese platter should be harder than choosing between two chess sets, all other things being equal. But the researchers also knew of previous research that indicates that thinking of another person puts people in an abstract, big-picture frame of mind. When we think of a problem or a decision on behalf of another person, especially a person we’re not close to, we tend to get to the crux of the issue instead of getting stuck on distracting details. So in one experiment, Khan and her colleagues gave participants a $50 gift card and asked them to choose what to spend it on, varying both the choice and who they were choosing for. When participants were choosing for themselves, they rated the chess-versus-chess choice easier than the cheese-versus-chess decision, just as you’d expect. But when participants were asked to choose a gift for a mere acquaintance, the result was the opposite. Once they were made to think in abstract, big-picture terms — about someone else — the cheese-versus-chess decision was easier than the chess-versus-chess choice. This reversal makes sense, Khan says, because what makes a choice easy or difficult depends on the criterion used. Sometimes a concrete criterion, based on specific product features such as size or color, is best; in other situations, it’s easier to reach a decision by focusing on big-picture criteria, such as how enjoyable you’d find a particular choice. When choosing for others, people tend to use big-picture, more holistic criteria. And this approach helps when choosing between products that don’t share the same attributes. But for apples-to-apples comparisons, thinking holistically makes the choice more difficult: It’s hard to say which chess set would be more enjoyable, for example, but easier to tell which one has better wood or heftier playing pieces. This key insight — that the same choice can be more or less difficult depending on the context — can enable marketers to steer customers to make decisions more easily, Khan says. She believes marketers are already good at getting people to think in terms of high-level criteria, with slogans like “Pamper yourself” or “Think of your children’s future.” The challenge, though, is to elicit the right criteria at the right time.